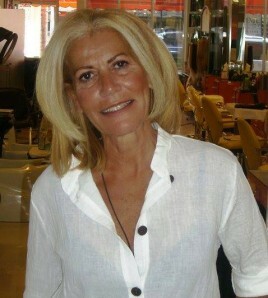 Flory Reboh is a celebrated hairdresser and Co-Owner at Femme Coiffure in Bal Harbour, Florida. Flory developed an interest in hairstyling at a very young age, wanting to replicate several of the celebrity hairstyles of the time on herself and her friends alike. She quickly found that she possessed a talent for tresses. Flory studied hairdressing in a specialized institute in Montreal and became so passionate about the topic that she became a hair educator. She has always immersed herself in the hair and beauty industry. Hairdressing is all she does. Color and extensions are her main specialties and she also does haircuts. Flory has styled celebrities including the famous Dutch model Claudia Schiffer and the Russian tennis player Anna Kournikova and more recently the Mexican actress Kate Del Castillo. Flory is known for her friendly and welcoming demeanor, is tremendously passionate and has a very loyal and devoted clientele.